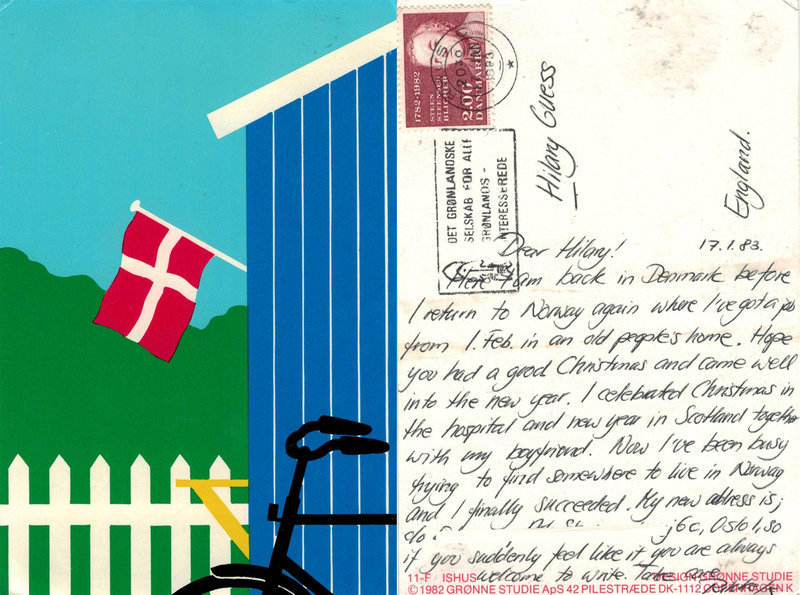 This entry was posted in Friendship, History, Journies, Life Path and tagged apostrophes, art, au pair, communication, Denmark, design, Facebook, friends, history, Maple Leaf, postcards, writing. Bookmark the permalink. Wow, you’re right about the art on the card! It aged very well! The message is like a snapshot of a certain time, as well as a window into a friendship. I have a friend in England that I corresponded with many years. I wish I had those letters, talk about a snapshot of time and friendship!